Categories: Blind Rivets, Rivets, High Retention. 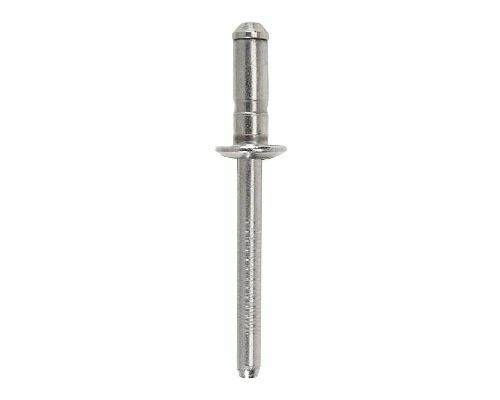 The Rivinox® rivet provides an aesthetic secondary rear flange at the back side of the application. Perfect for thin sheet metals or plastics where rivet pull through is of concern. The mandrel will break nearly flush with the head and contains a locked mandrel to prevent vibration. 18-8 stainless steel constructions provides a corrosion resistant joint.